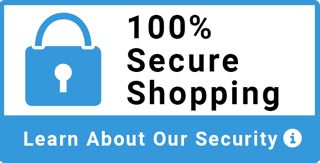 Advantage Business Equipment uses ShopperApproved.com to independently collect customer feedback throughout the sales and delivery process. I just want to take the time to tell you thanks for working a very great deal with Service Supply of Victoria. We just installed one of the shredders and it works perfect. We really appreciate the time an effort you put into making this sale. We look forward to doing business with Advantage Business Equipment in the future." "Thank you so much for your outstanding customer service John with our Destroyit 2503 Cross Cut Shredder purchase! We will definitely consider Advantage Business again for any future purchases! Have a wonderful day!" “I purchased a Destroy-It model 2602 cross cut shredder five years ago after relying of the sound advice of Dennis, salesman of Advantage Business Equipment. Of all the different pieces of office equipment I’ve ever purchased in my 25 plus years as a mortgage broker, this shredder is my favorite piece of equipment. Not only has it never broken down in five long years of constant use, it’s actually a lot of fun to use. Perhaps I’m strange, but I really get a kick out of shoving handfuls of documents through it, with no jamming of any kind. Chris Taylor, Interstate Funding Corporation. "This company was terrific in resolving a billing question over the weekend. I ordered a large office shredder on Friday. I checked my bill over the weekend and it looked like I hadn't ordered the right shredder. Advantage took my call directly early Sunday Morning, then followed up with emails and with real person phone calls on Monday morning and had the order resolved to my satisfaction by Monday midday. I just had to point out a discrepancy and they fixed it. Usually, I get cold sweats when the invoice doesn't appear to match on a major order. I wonder how much time spent arguing will get sucked out of my work day. To the contrary, Advantage was quick, courteous and professional when handling a customer concern. Five stars!" "My company purchased the Wycom check signer in 2008 from Advantage Business Equipment. We use the check signer for all accounting functions (accounts payable, payroll, etc). Since the original purchase we have added a new company and four new bank accounts. The setup of the new company and new bank accounts was no problem. It took one call to Advantage Business Equipment. Dennis and his staff at Advantage are great. Until we got this machine we signed all checks manually. Had we known how easy this machine was to use and how reasonable the cost - we would have purchased the Wycom a long time ago." "We purchased the Destroyit 4005 CC almost two years ago. After doing some research we felt that this specific model would serve our needs. We needed something that was compact in size but yet capable of handling the documentation that is produced in our large office. This shredder has proven time and time again that we made the right choice when we did the purchase. After having an independent company destroying our documents we generate on weekly basis we have come to the conclusion that in the long run this machine will pay for it self. And again I would like to thank your staff for the great assistance they demonstrate to us time and time again." K. Casano Accountant - Capco, Inc.
"The MBM Destroyit 4002CC is an excellent paper shredder. It gets a lot of use around here and it has not given us any trouble. I would recommend this for anyone who needs a good shredder for a busy medium sized office. The staff at Advantage Business Equipment helped us pick the right machine for our applications." "For 12 years I had personally signed weekly payroll checks for up to 900 workers. The Wycom check signing machine is saving me 2 or 3 hours per week and I don't have to be in the office each and every Friday to sign checks. I wish all our electronic upgrades were this valuable. Thank you Advantage Business Equipment." "We just wanted you guys to know, we love our 2604CC shredder. It was the best thing that we have invested in since we have been through at least 5 shredders. This shredder is awesome and we like that it has a built in oiler so that we don’t have to guess to when it should be oiled or needs oiling." "In this world of fraud and corruption, it is the job of every CFO to secure the assets of the company. The outflow of cash is paramount in this concept. I was happy to find Advantage Business Equipment, and their knowlegable staff that walked me through the process of procuring the right equipment for my office needs. After speaking with Dennis Neal, he suggested the Wycom Premier Printer. The machine works great, and the service from ABE was beyond my expectations. I would be happy to recommend ABE’s products and services to other companies." "I love the new 4002CC paper shredder that we order from Advantage Business Equipment. We seem to use this equipment frequently, and it’s very quiet and works extremely well."